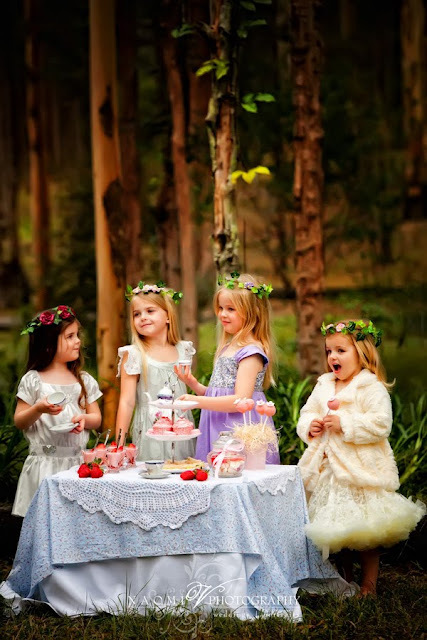 Once upon a time there were 4 gorgeous little girls, they were the prettiest and best dressed girls in the land and one day they happened upon a magical tea party in the forest. 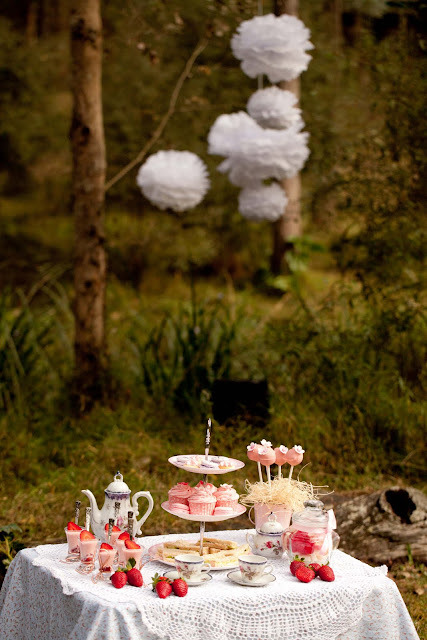 This isn't a fairy tale it's real life (well ok maybe the bit about the magical far away tree's not real) but it wasn't an accident these girls happened upon this tea party. 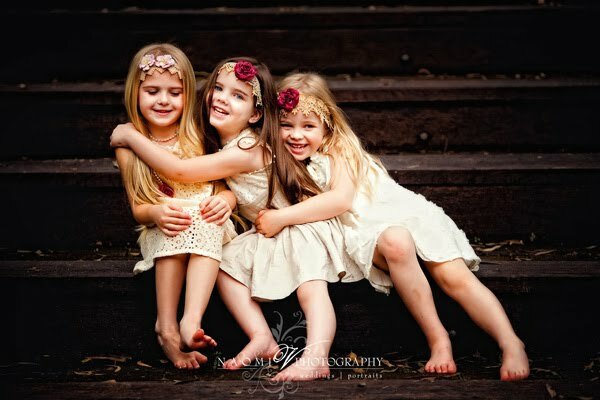 Elizabeth from LaToriana had a wonderful idea for a photo shoot set in the forest and was kind enough to invite my daughters and I along. 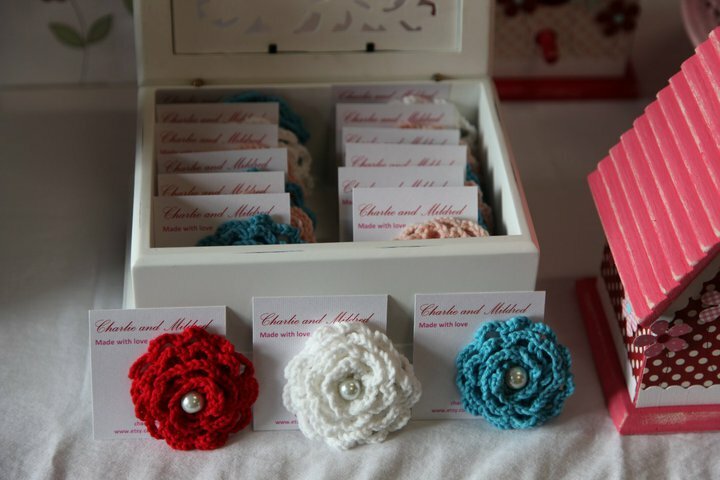 Daneve from Ah Tissue helped set the scene with hanging pom poms and Naomi V Photography took the amazing photo's. and of course I made the food and styled the little tea table. It was such fun, and so lovely to meet Elizabeth Murphy of LaToriana in person as I have been a fan and customer of her store for a number of years. You can see from the photo's just how divine the clothes are I fell in love with the new Little Miss J range, LaToriana sources some of the best brands from Australian and New Zealand. 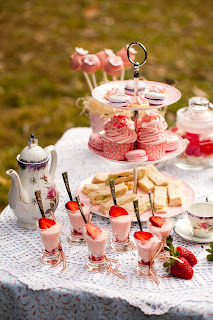 See more pics at her Forest Tea Party La Toriana style blog post. Ali (Mummahh blog) - not just content producing gorgeous kids Ali has a blog with some great ideas like homemade puffy paint and edible play doh as well as great fashion tips and links. 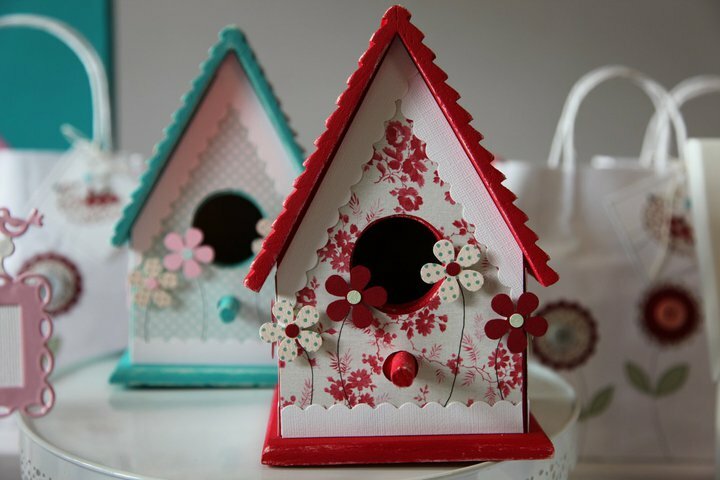 Terri (Charlie and Mildred) as well as working with me to style my kids dessert tables Terri makes and sells these super cute birdhouses, hair clips and other gorgeous items soon to be available on Etsy. 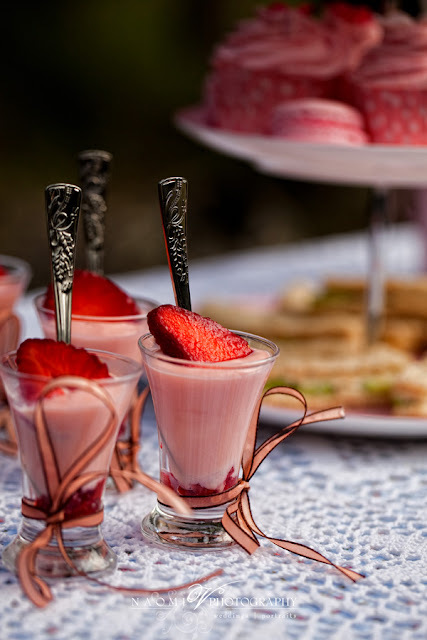 White Chocolate Cream Pots with Strawberry. Makes 6 to 8 small shot glass size serves. Melt 200g very finely chopped white chocolate with 100ml cream in the microwave on medium low mixing between bursts carefully until all chocolate is melted. Add a little pink food colouring. Whip another 100ml cream to hard peak stage and then very very carefully fold into white chocolate mixture. Chop some strawberries into small pieces and pop a tiny amount into the bottom of small glasses (shot glasses). Carefully spoon in white chocolate mixture. If you like you can add a small spoon into the glasses prior to adding the chocolate mixture and it will set standing up like in the pics. Slice strawberry and add a pretty slice to the top. Refrigerate until set. 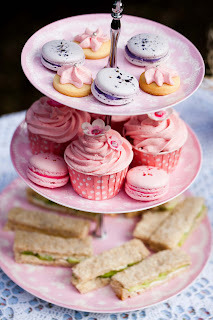 Thanks for including My Blog, i plan on Blogging about this day soon, and your tasty Treats. Everything is sooo beautiful and magical! 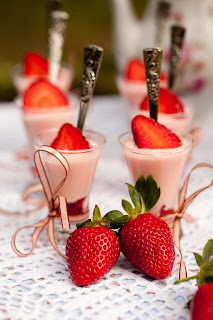 I'm drooling over the White Chocolate Cream Pots with Strawberry! as usual, the set up is divine. I wish I was one of the little girls!! 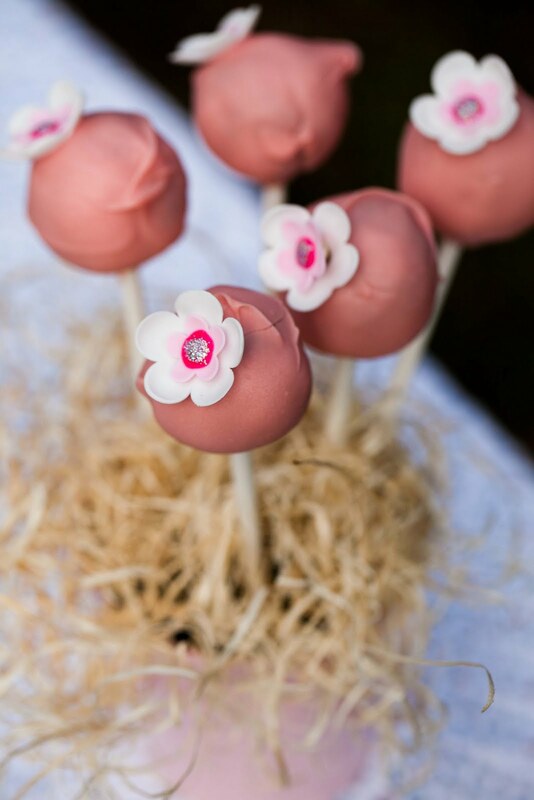 Thank you for sharing the Recipe for the Strawberry Chocolate pots! Looks easy enough for me! Thanks you for your comments! I really appreciate it!! 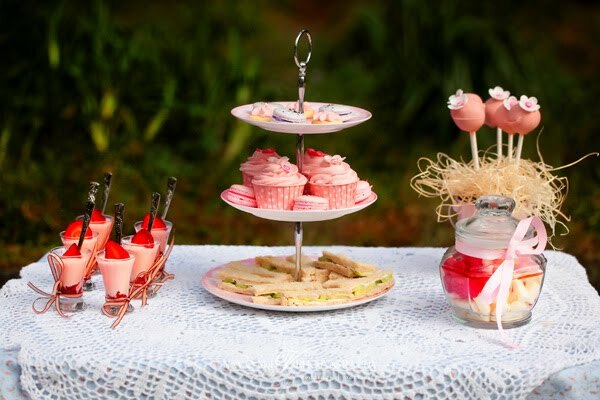 I am not sure where you might find mini wicker baskets in Oz (I am an expat Sydneyite) but are you able to get a hold of peat moss cups from nursery or landscape stores? I spray paint mine - punch holes in the sides and use ribbon for the handles and decorate - you could even have the kids decorate their own!! Loved the day... loved the treats (thak you) loved the models, Loved the mummies, and of course the best photographer! How adorable. What little girl wouldn't want to experience a beautiful tea party like this. Very inpiring thanks for sharing all your wonderful ideas. That looks super beautiful ! Lucky little girls :). Thank you you for sharing and great inspiration, maybe next year my girls will have a birthday party inspired by you !